For your commercial brooms and mops, you need a durable handle to operate it with. The Carlisle Flo-Pac handle features 96 in. L x 1-1/8 in. 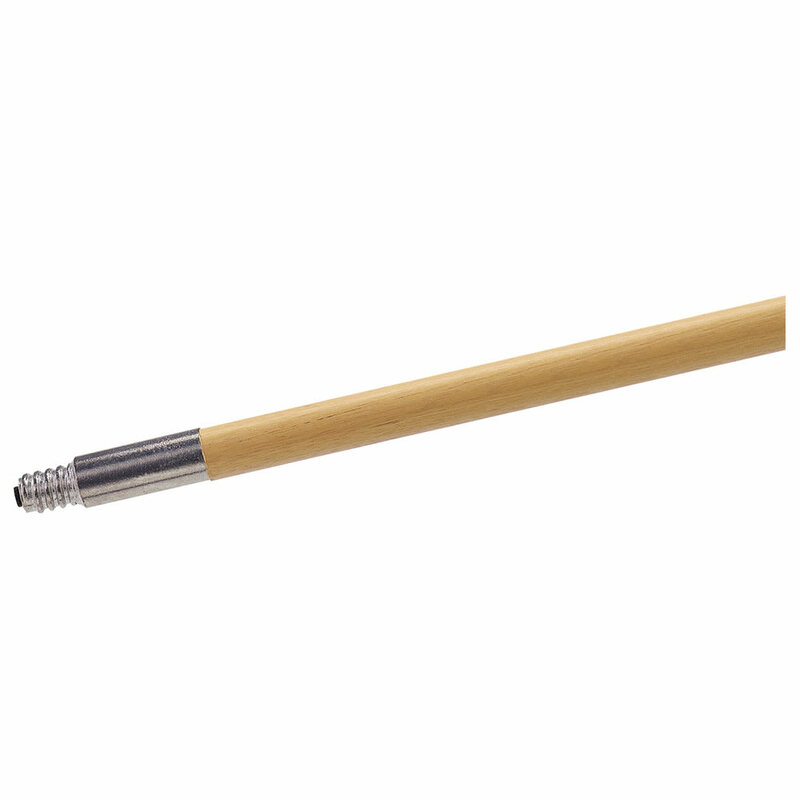 diameter, this wooden broom/mop handle also features metal threads on the end for easy installation. "Great price but I have only ever seen the 96" Carlisle Handles with a lacquer coating the wood. There does not appear to be any coating on these..."
"Great price but I have only ever seen the 96" Carlisle Handles with a lacquer coating the wood. There does not appear to be any coating on these handles. It will be interesting to see how they hold up to some hard work."